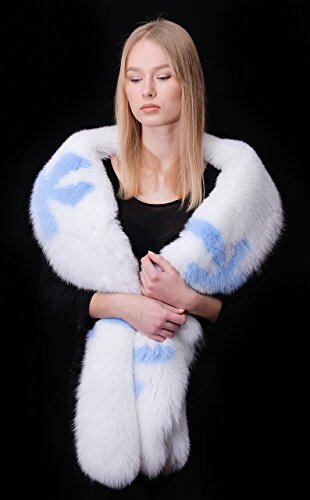 HUGE 79'' Arctic Shadow Fox White/Ice Blue Handmade Boa Stole by Your Furrier at Nicky's Blog. Hurry! Limited time offer. Offer valid only while supplies last. One thing loved by our customers is the best quality at cheap rates. You wondering about some other variations? Text me! I love hearing from you. One thing loved by our customers is the best quality at cheap rates. You wondering about some other variations? Text me! I love hearing from you. Your fantasies can come true. Do not miss opportunity to buy finest quality goods for extremely low prices. Lining made of satin. Length: 79" (200cm) Never used before, brand new, with tags. Express shipping service available. Special offers are acceptable. For any further information contact me. Please see all my listings of hats, headbands, collars, mittens. If you have any questions about this product by Your Furrier, contact us by completing and submitting the form below. If you are looking for a specif part number, please include it with your message.